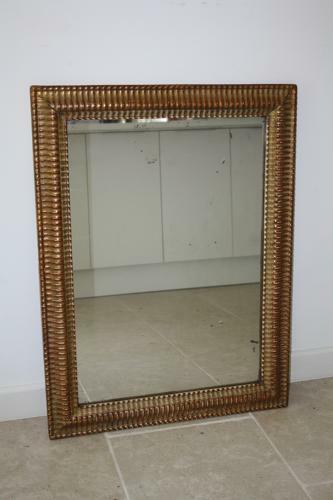 A lovely original mercury glass rectanguler mirror with elegant ridge frame. V nice giltwood with red coming through. Can be hung portrait or landscape. French C19th.